Pocatello. Here at the Group Real Estate, we love to highlight a few of the surrounding areas that we help with listings and buying. The name derives from a Shoshone Indian chief who allowed right of way passage for the railroad through the Fort Hall Indian Reservation. Long before the history books tell us about Lewis and Clark making the trek across Idaho in 1805, the Shoshone and Bannock tribes inhabited all of Southeastern Idaho. Sitting in a very strategic location for travel, through the Portneuf Valley, it is very surprising that Pocatello wasn’t “formed” until the late 1800s. As a Union Town, the railroad was very important running through Pocatello, with so much of the train travel from Utah, coming through Malad Valley and going through Fort Hall to Montana. 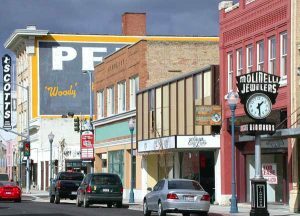 Pocatello was the perfect location to start a town, a place to stop for Union workers, and now bolsters itself as a great place to live. Let’s rattle off a few great reasons why you should choose Pocatello as your new place of residence. Old Town. There are antique and boutique stores all around Old Town Pocatello. All of them within walking distance of each other. There are retro video game stores, antique places, independent patisseries and boutique shops. If you are craving Mexican food, you must stop by el herradero a great hometown Mexican restaurant. If your heart is wanting Italian, then stop by Villano’s Italian, a quiet and cozy eatery. If the bar is your scene, there is always First National Bar, that bolsters live performances and happy hour drinks. As far as antique stores go, make sure you stop by Vain & Vintage, as great place selling awesome antiques, collectibles, vintage clothing and hand made jewelry. 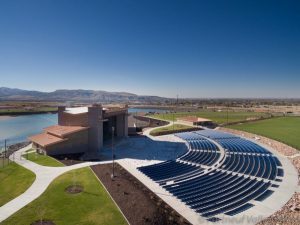 Portneuf Health Trust Amphitheatre. There isn’t a “bad seat” in the entire house. This is an outdoor venue that has brought in some amazing talent over the years from Korn to Kansas to Keith Urban. It’s also a place where you can simply go to spend a nice summer afternoon, as there is a lake to do some paddle boarding, short paths to ride bikes on and a nice spot to walk around near the hills. Palace Playhouse. If theatre and food fit your fancy, this is the place for you. They do an amazing job putting together small venue theatre shows in an almost “black box” style theatre, where, as the audience member, you are right in the mix of the action. They serve dinners and desserts and have a candy/soda bar, as well. A place made up of local talent from the community, it helps people make it to bigger and better as they pursue their careers in the theatre medium. Museum of Clean. An awesome, humorous location to take your kids, to go to on a date, or just as a perfect location if you love cleanliness, the Museum of Clean has amazing tour guides who have a “passion for clean”, showcasing unique and historic items. All items are quirky and wonderful from a man who dedicated his entire life to cleaning and teaching other how to do it. From old waste stations to showcasing hilarious items from the Clean Band (think a banjo made of a toilet seat), you will have an absolute blast here at the Museum of Clean. Idaho Museum of Natural History. 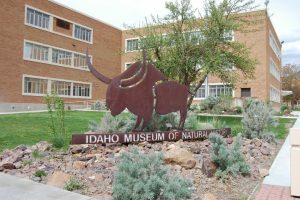 If you are wondering about the ins and outs of certain Southeast Idaho places, this is the Museum to go to. Showcasing information about INL, NASA, Lewis and Clark, Native American Culture of this region, and why we love the game The Oregon Trail so much, this is the Museum letting you know why Pocatello became a place. 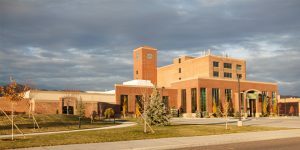 It’s located right next to Idaho State University, which makes it easy to find and easy to get to. 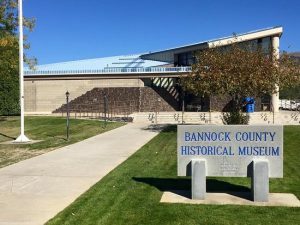 Bannock County Historical Museum. A very in depth and informative look at the Shoshone and Bannock tribes, the history of Pocatello, its founding, history and the stories of the Portneuf Valley. 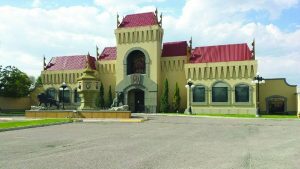 There is a faux city of Old Pocatello, from far back, that sits outside the Museum, to showcase how it looked in years past. It’s a very light admission, at just $4 a person, to go in and see where Pocatello came from and it’s wonderful history. 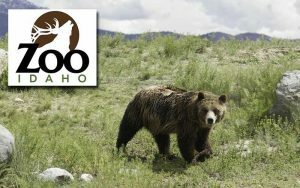 Zoo Idaho. This is the perfect “small town” zoo. It has great up close and personal looks and some of the local wildlife that is in Southeast Idaho. There are only about 20 enclosures, altogether, in this zoo. It is perfect for kids to walk around and you may only spend about an hour there. A very quaint, and cute, zoo that is perfect for the “small town” lover. Trinity Episcopal Church. 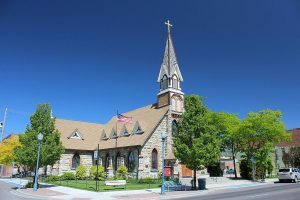 This church building, and religious branch, was founded in the Portneuf Valley area in 1897, and landed itself in the National Register of Historic Places in 1978. It still has an active congregation to this day. The architecture of the church is beautiful, showcasing a beautiful courtyard and an ample parish hall. This is a very welcoming place to stop, take pictures, go inside, and really lets you enjoy the appeal of a Stone style architecture. The clergy and congregation are very welcoming and love talking about the history of this beautiful church building. Fort Hall Replica. If you were ever interested in Southeast Idaho’s connection to the Oregon Trail, the fur trading posts, and stories of the original Native land in the Portneuf Valley, this is the place to be. On another note, if you wanted to hold, in your hand, the exact artifacts (some replicas, some real) of flintlock rifles, blacksmith hammers, and muskrat traps, this will also fit your needs. In addition, there is a hotel added on here that bolster nice rooms and a dinner at a moderate price. If you love your frontier history, this is a great place to visit! Swore Farms. This is a great place to bring kids, to pick up your produce, and just have some good clean fun …in the hay fields. 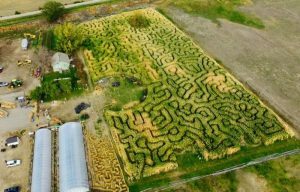 During Halloween time they do a great Corn Maze, in the Summer and Fall they have hay rides for the entire family to enjoy, and during their respective seasons, you can come purchase fresh produce, fruits, vegetables, and fresh farm eggs. These are just a few reasons to come make residence in the beautiful town of Pocatello. Along with the Top 10 items studied out above, this is the only place in Southeast Idaho that has a Chipotle, it has top notch Hospitals and a great University for Engineering and Medical fields. Do yourself a favor and come live in this Historic Southeastern Town. It won’t disappoint.